Anyway, I spend plenty of money on makeup. Yet, somehow, when it comes to mascara, I just can't bring myself to spend more than $10. It definitely has something to do with the fact that you have to toss it after a few months so it just seems like a poor return on your investment, but to be honest, it's mainly because with the exception of a couple of really amazing mascaras (Tarte's Lights, Camera, Lashes and Too Faced's new Better Than False Lashes system - a product that actually lives up to its hype and I will do a review of as soon as I can overcome my terrible photography skills and take a photo of my eye that isn't blurry as hell), I feel like most mascaras deliver the same basic results. At least on my lashes. Now, when it comes to lashes, my main problem is length. I've been using Urban Decay's Lush Lash system for approximately four months (I should do a review on this too... unfortunately I don't have before shots so I'm not sure how helpful it would be) and I have noticed a difference - nothing drastic, mind you, but they're not puny anymore. It's also made a serious difference in terms of how many lashes I lose, which means that I seem to have more lashes so volume is definitely not an issue. A few weeks back, I stopped in Walgreen's to pick up some allergy medicine and, as I always seem to, I find myself drifting to the makeup aisle. There was a sale on Wet n Wild, so while I need another mascara like I need a hole in the head, I decided to give their Megalength Mascara a try. I'm a big fan of Wet n Wild's Color Icon shadow palettes and trios, so I figured why not. Oh, and it was only about $2 with the sale. Couldn't resist that. Unfortunately, even at $2, this mascara is a waste of money. First of all, the formula is way too wet for my taste. It clumps like crazy on the lashes, so instead of a nice soft, full look, I wind up with four or five lash clumps - a seriously unflattering look. Second of all, it doesn't do much in terms of lengthening my lashes either. That's the whole reason that I impulsively bought the mascara so that's a major failure in my book. But my biggest problem with the mascara may be the wand and brush. 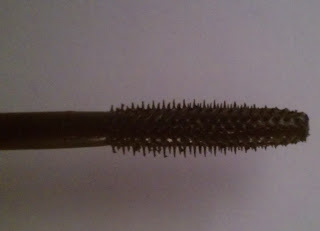 While the formula is super wet, the brush features such short bristles that it seems impossible for it to effectively separate the lashes and prevent clumping. 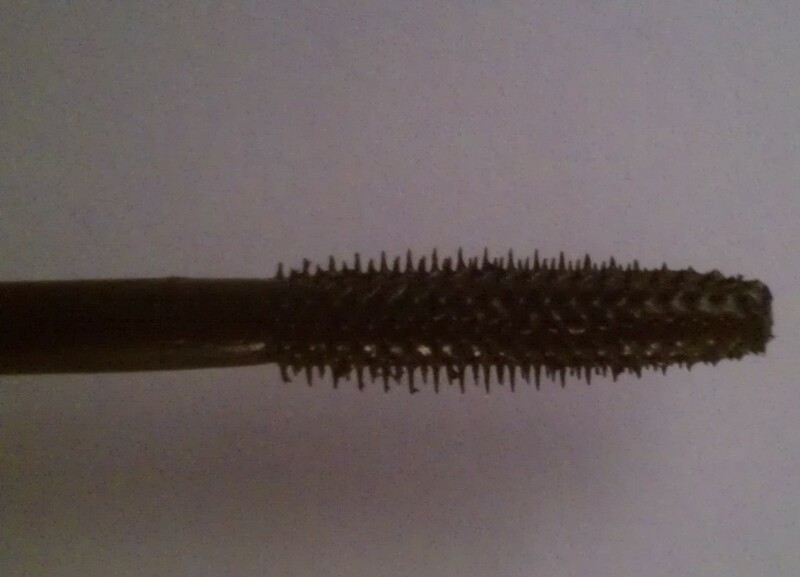 The end of the wand where the brush is located is also flexible and this has proved to a serious problem for me. Of the six times I've worn the mascara, I have wound up poking myself in the eye with the brush (and getting mascara all over my eye lid and under eye area!) a whopping four times. Now, I can be somewhat clumsy sometimes but in my 20 or so years of makeup wearing, I have never once poked myself in the eye with a mascara wand before - but the wand just has too much give to really allow you to massage the mascara into the base of your lashes without risking a good, hard stab in eye. 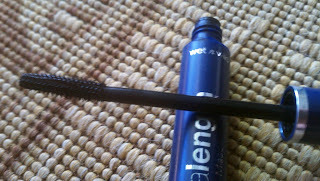 I will most definitely NOT be repurchasing this mascara - and will most likely toss the tube sooner rather than later. Have you tried Wet n Wild's Megalength mascara? Did you like it? What's your favorite lengthening mascara?